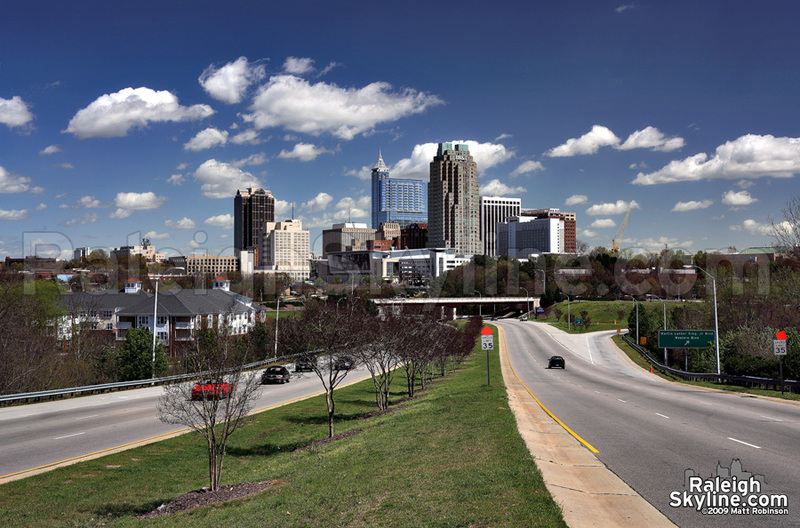 People traveling into downtown Raleigh via South Saunders Street will be greeted with a rather large welcome sign as of this week. It comes on the heels of other similarly styled way finding signs around the downtown grid. At least it is better than that temporary Extreme Home Makeover sign from early 2007, seen here. 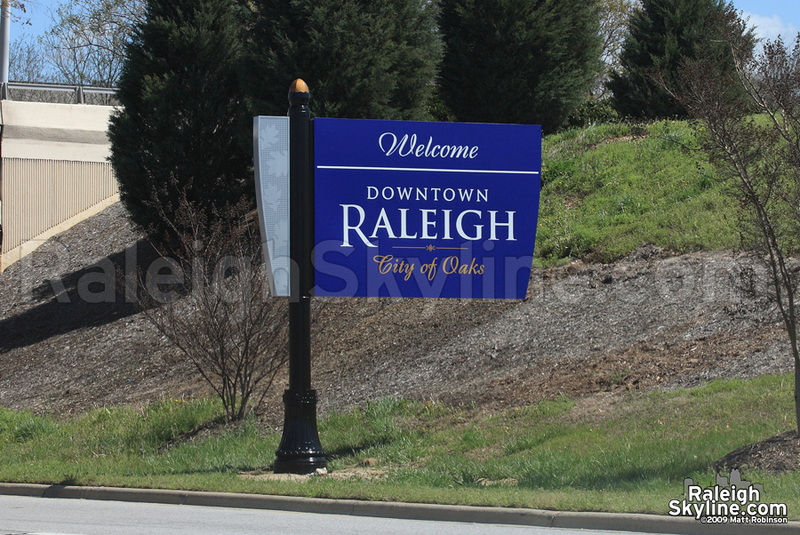 The New “Welcome to Raleigh” sign. Look to the bottom right of the MLK overpass to spot the sign.